There are two parts to this ministry: Food Collector and Food Deliverer. Food Collectors are people willing to stay after Mass for a short time to take the food collected during their assigned Mass to the holding area in the rear of the church building. 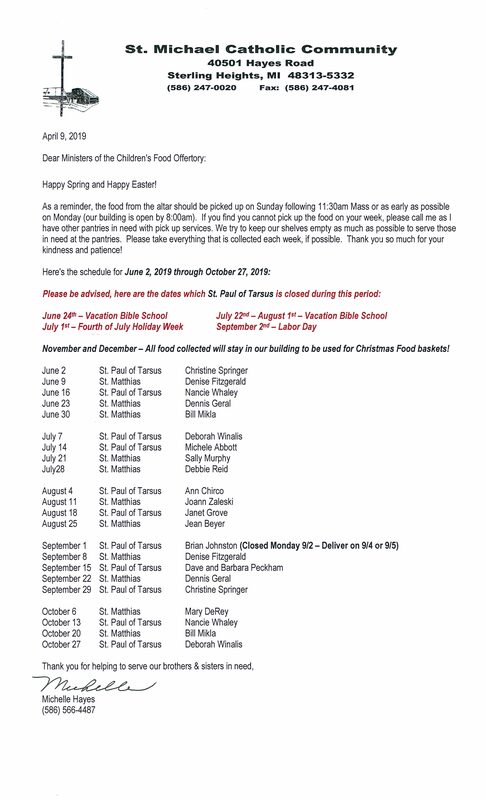 Food Deliverers are people willing to pick up all the food after the 11:30am Mass each weekend and deliver it to St. Paul of Tarsus or St. Matthias on Monday morning. With enough people, this is done on a rotating basis, once a month. Time Commitment: Food collectors, this ministry is performed while you are at Mass. For food deliverers, approximately 1 hour once per month or less. This ministry is scheduled; you will be scheduled according to the preferences you provide. 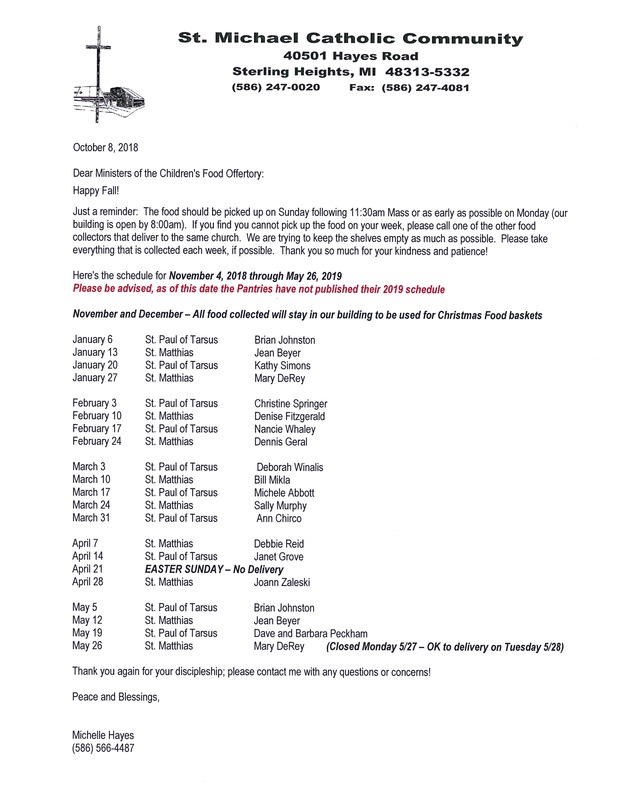 When to join: Children’s Food Offertory is scheduled every four-five months. You can sign up at any time, new people are always welcome.